It is rightly said, “When you gamble with safety, you bet your life”. Whether you are a part of the defense or a security guard or an ordinary citizen of the country, personal safety always stands at priority. So, how can we safeguard ourselves from sudden attacks and dangers? The answer lies in getting a the best Body Armor, which is being manufactured in Israel. The firearms are the most dreadful threat that law enforcement officers face when dealing with terrorists and anti-nationals, and body armor is the ultimate solution. The basic function of body armor is the prevention of bullets from entering the body. Additionally, these vests protect the wearer from potential injuries inflicted by attackers. So, the wearer remains safe and protected all the time. The body armor comes in a number of varieties. The earlier ones were effective, but very heavy which often made the soldiers uncomfortable. But today, with the advancement in technology, a lot of research has been successfully done to create a comfortable bullet proof vest. The soldiers can now enjoy wearing light, high quality, durable body armor, which is much safer and stronger. The body armor or a bulletproof vest aids in consuming the impact of a bullet and prevent it from entering the body. The scientists from Israel have created a new type of armor that is inspired by the skin of fish and is very flexible. This vest has the capacity to sustain bullet as well as knife injuries with equal ease, thereby protecting the soldiers with comfort. There are a number of bulletproof vest styles that the soldiers and the common man can opt for. 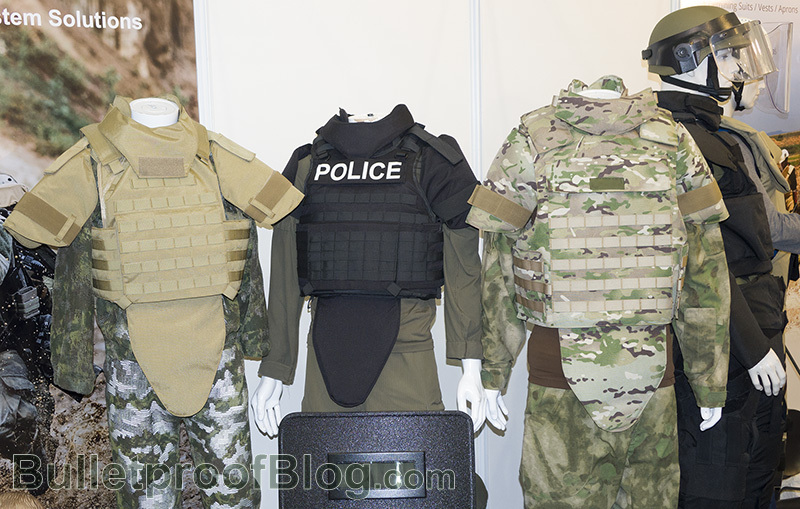 The tactical body armors are mainly used by the police and military who are subjected to more dangerous attacks. While the covert bullet proof armor is chosen by leaders and security guards. The covert armors are the best choice as they are light in weight, airy and flexible, which make them pretty comfortable to wear. The covert armor can be easily selected for regular wear, as they remain under the clothes and don’t give the feeling of additional burden. These bullet proof armors are not only meant for protection against bullets, the vests have the ability to sustain accidents on the road or by fall of debris. The thin vests remain hidden in your body, giving an excellent level of protection to troops and the common user. There is another type of ballistic vest known as the overt vest, which is meant to wear above the clothes. These bulletproof armors are meant to combat heavy artillery firing. The vests are commonly used by the military who get attacked by intruders. The bulletproof vests are light in weight and flexible and come with weather protection cover. The vests are designed with additional panels and plates so that the security forces remain safe during heavy artillery firing. The body armor is an important safety gear that requires proper handling. So, it is vital to keep it away from sunlight and water. The specialized storage carriers are the best to save them from environmental impacts.